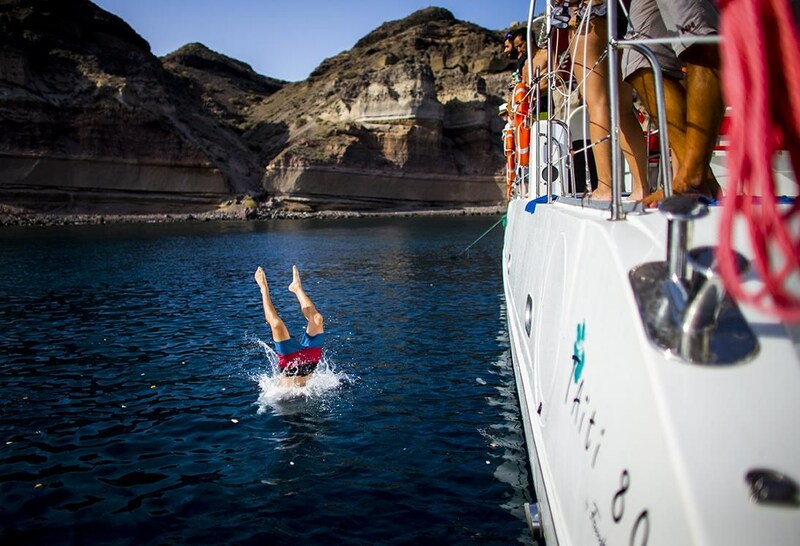 Easy to step on board and get off board. 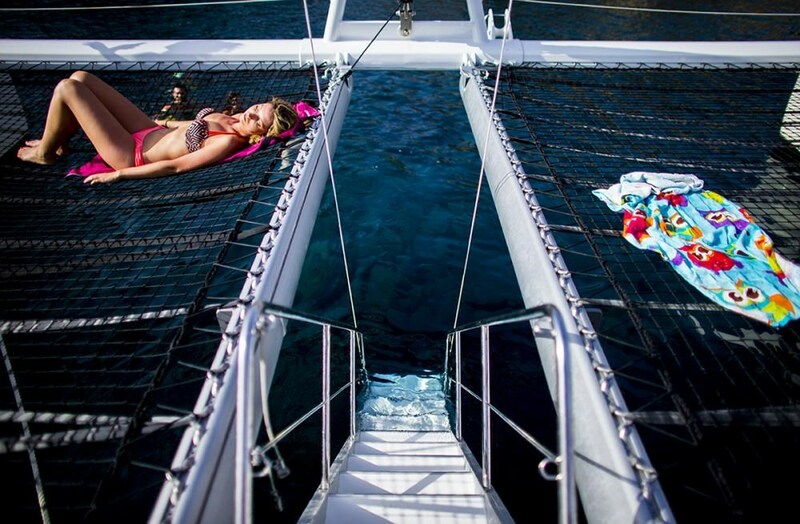 Clear catwalks enable people to move freely at docking. 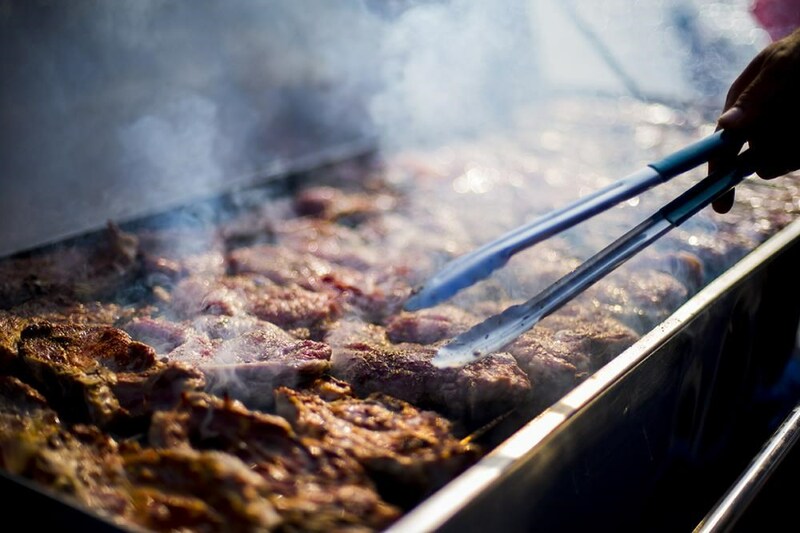 Ideal for special events and celebrations on board, as well as for fishing trips and water sports. 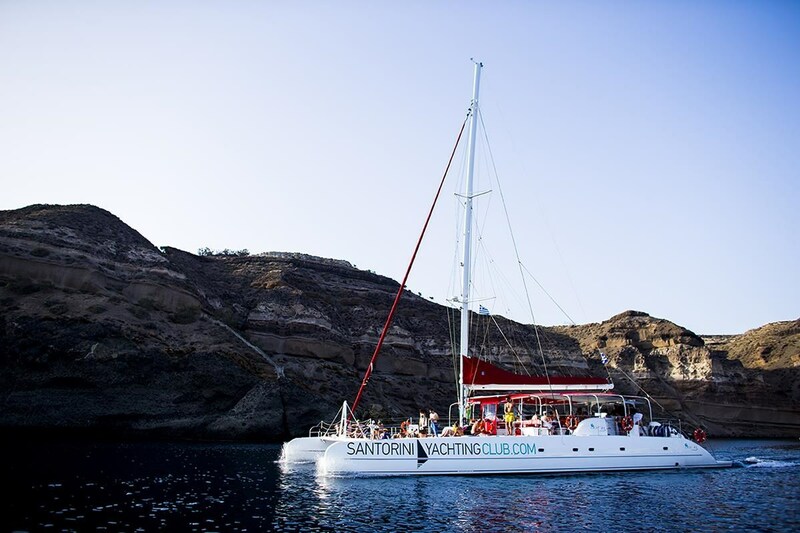 The Taiti 80 is a spacious deluxe catamaran; in fact it is the largest catamaran in Santorini! 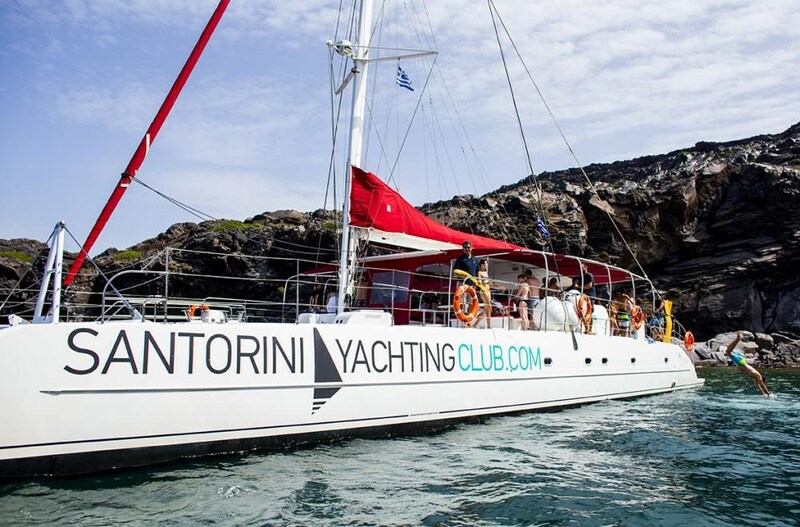 The vessel can easily host up to 55 people on its large deck, which has been especially designed in order to offer maximum comfort and space. The sitting area consists of comfortable seats placed around large tables, making the sitting arrangement just perfect for socializing. 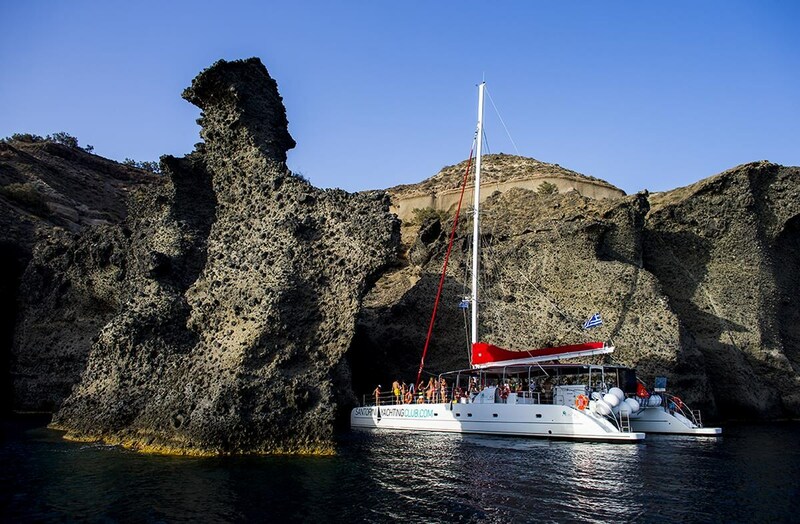 The Taïti 80 is the ideal boat to step aboard for a day full of exploring secluded islets, discovering dazzling beaches and diving into the transparent waters of isolated sea caves. 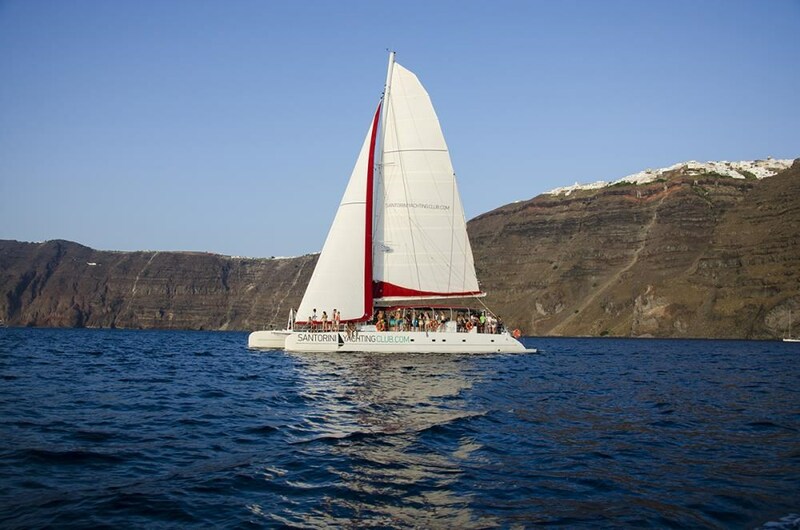 This vessel is also an excellent choice for weddings, wedding parties, and special events on board. 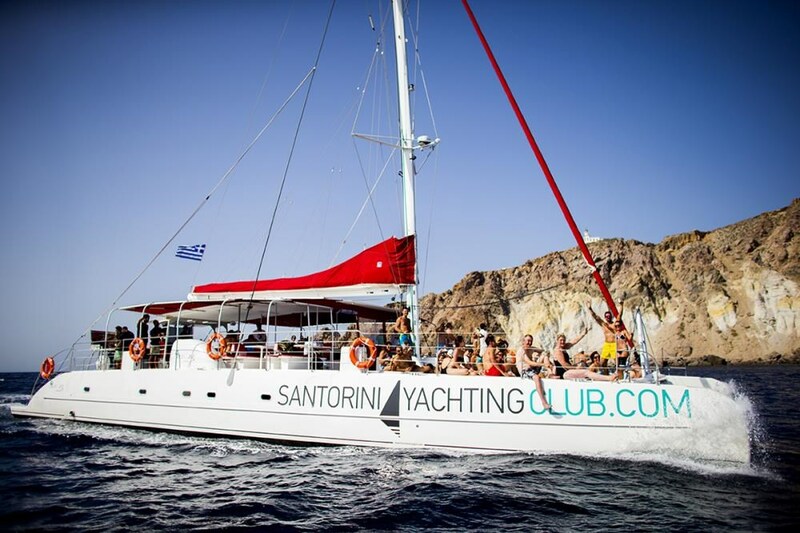 The events experts at Santorini Yachting Club are always willing to help clients plan and organize a dreamy special occasion on board.